You've Got the Perfect Bedroom But Still Can't Sleep, Why? You’ve Got the Perfect Bedroom But Still Can’t Sleep, Why? If you’re like most people reading this blog, you put a lot of thought and effort into your living environment. And so when a particular room doesn’t do its job, you feel a little lost. You might think that you have the perfect bedroom, but if you find it impossible to get to sleep, then there could be a problem with the room itself. Granted, there are all kinds of reasons that you might not be able to sleep as well as you’d like (such as gnawing toothache, insomnia or loud neighbors), but that doesn’t mean that external factors are to blame for all your sleepless nights. Your bedroom could be a problem too. So what are the problems in your bedroom that could be preventing you from getting the shut-eye you need? And what can you do about them? Our bodies require it to be dark at night to start releasing sleep hormones, like melatonin, that give us a restful night’s sleep. But many people’s bedrooms are overlooked by intrusive street lights that keep them lit up all night long, preventing these hormones from taking effect. The problem is that many blinds can’t block out the light, allowing it to seep into the bedroom just when you want to go to sleep. The solution is to use so-called “black-out” blinds. These are a special kind of shade that uses thick material to block out the light so that it can’t get into the bedroom. When you install blackout blinds, you’ll immediately notice a difference in how dark your bedroom feels. Ideally, you should need to turn the light on to be able to see what you’re doing in the night. Choosing a mattress is a lot more involved than most people imagine. Finding the best mattress for you is as much of an art as it is a science. If you’re a side sleeper, you may need a different kind of mattress from somebody who sleeps on their back. Likewise, if you have any injuries that you might need to choose a softer mattress compared to a person who has none. A lumpy mattress is a big no-no. If you’re uncomfortable, your body will struggle to get into the deepest forms of sleep. When you wake up, you may still feel groggy, even though the alarm clock says that you’ve had a full eight hours in bed. Many people use an alarm clock with backlit digital displays so that they can see the time during the night. But there are many reasons why this isn’t a good idea. The first is psychological: being able to see the time all night reminds you of the sleep that you’re not getting, causing you to become more stressed and potentially miss out on more rest. Psychologically-induced sleep disorders are common, so it’s important to avoid triggers wherever possible. Secondly, alarm clock backlights emit a kind of blue light which signals to your body that it’s time to wake up: precisely what you don’t want. If you have to use an alarm clock for work, make sure that you choose one that only lights up when it’s time for you to get up, and not before. If you sleep in a bed with somebody else, then you’ve probably gotten used to sleeping beside them. But that doesn’t mean that being with another person during the night isn’t affecting your sleep: it probably is. 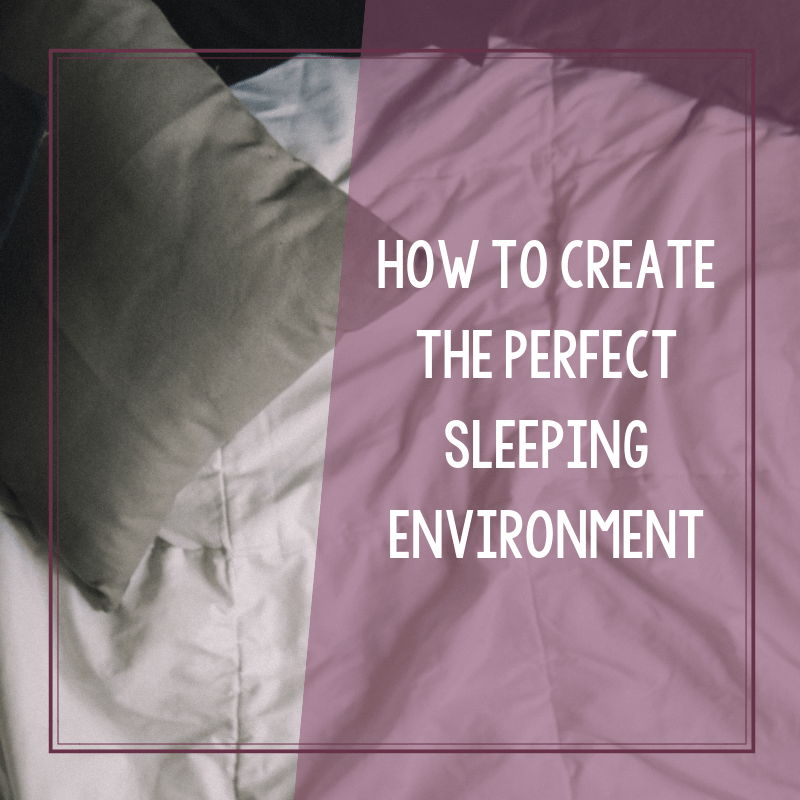 If you don’t think that you’ve got enough room to turn over and move during the night, then you will unconsciously remain more still than you otherwise would during the night, and this can prevent you from getting the quality sleep you crave. A queen-size bed is probably too small for two people these days. After all, we’re a lot bigger than we used to be. Even a king-size bed might be too small for some couples. When choosing a bed, make sure that you supersize and prioritize width over length so that you and your partner both have space to toss and turn during the night, unimpeded. Finally, if your bedroom is overrun with critters, then there’s a good chance that they will wake you up and interrupt your sleep at some point. Mice scurrying across the floor and chewing on bits of food is disconcerting. Remove food and set traps to eliminate the problem.